Club Penguin Cheats by Mimo777 Club Penguin Cheats by Mimo777: Club Penguin April 4th Featured Igloos! Check out todays Club Penguin featured iggys! Buster Shot said: "Dear club penguin peeps, I wanted u to see my friend's Keilynqg's igloo. 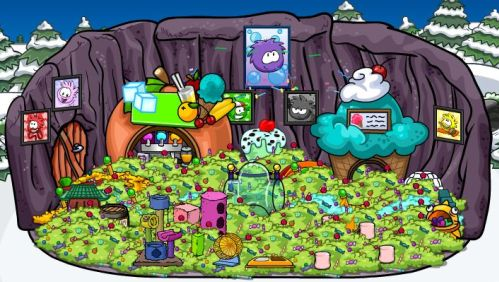 IT'S SOOOO COOL HE SHOULD THROW A PUFFLE PARTY THERE!!!! Qwerzxad2 said: "Hey, my friend Whiy1's igloo has cool snack bars. 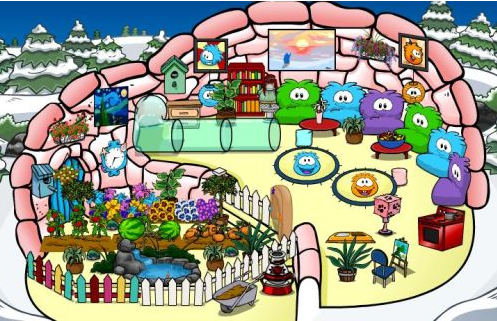 It is totally wicked :D"
Saraapril said: "I LOVE my Friend Yoangelyo's igloo :) It is so well decorated with lots of FUN for the Puffles and a Beautiful garden filled with vegetables, a little pond and FLOWERS :)"
Those are some pretty cool loos! 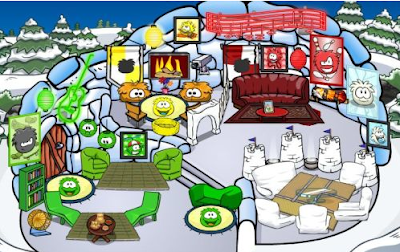 Which is your favorite igloo out of the three? I like that one the best though. best one iis the first in my thoughts. but iwonder if Kid would like that.... meh never mind at least its good!